Animals such as horses, dogs, cats can suffer from eczema. This may not necessarily arise from food allergy. canned food, dry food, snacks, but also home-made (and for people) feed. Especially the proteins of animal origin can provide these hypersensitivity reactions. should generally be applied at least 3 times a day for 4-5 days. After a couple of more days, repeat the process, if necessary. The oil is 100% natural, chemical-free and 0% artificial additives. Pharmaceutical PET-bottle, ROPP28 with dropper. Let them know some one care ! If we talk about skin care, Humans and animals are not all that different. However, dogs and horses DO tend to be somewhat more prone to injury! Dogs get into scrapes with other dogs. Horses seem to cut themselves on barb wire or other objects. Cats can develop a range of skin irritations for any number of reasons, including injury. Animals can also suffer from conditions akin to Rheumatism, post surgical wounds, scarring or a pulled muscle, a sprain or general inflammation. Fleas and bites commonly lead to itching and sores. While Tamanu Oil also works on dogs and cats, these animals have a strong tendency to lick their wounds. They naturally preen themselves anyway as a natural way for them to clean their coats. The problem here has to do with the fact that Tamanu Oil is not an edible product and so dogs and cats can get sick from licking Tamanu Oil or Tamanu butter off an injured paw for example. Our advice is to only use a small amount of the product and only where the affected area is quite small as well. Be especially careful with cats more so than dogs as it is cats that seem to be compulsive preeners that spend hours licking their fur. as it takes just a few drops 100% pure Tamanu Oil™ to cover the affected skin area. 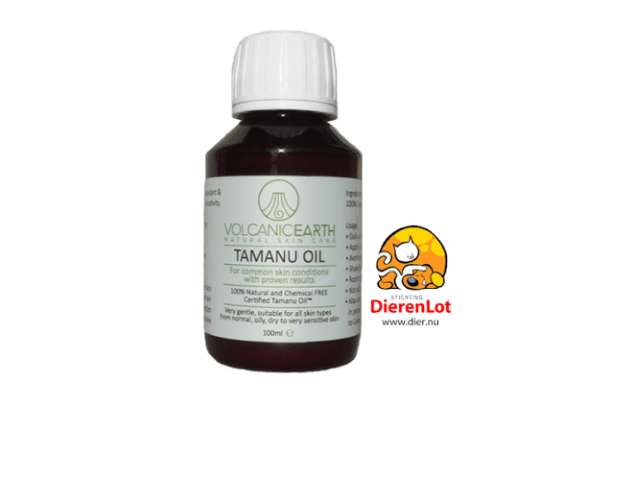 What is Tamanu Oil ?